2019 Crestliner 1700 Storm with a 60HP Mercury 4-Stroke motor. 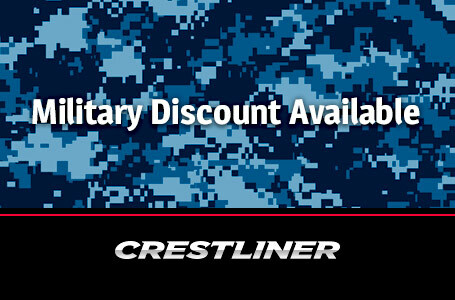 Receive a $300 rebate with Crestliner's Military Program. Proper documentation required. Featuring an ultra-durable all-welded aluminum hull, your choice of a MotorGuide™ X3 45/45" 12V or MinnKota™ Edge 45/45" 12V motor, large bow casting decks, and ample room to sit, these aluminum panfish boats are built to last and priced right. 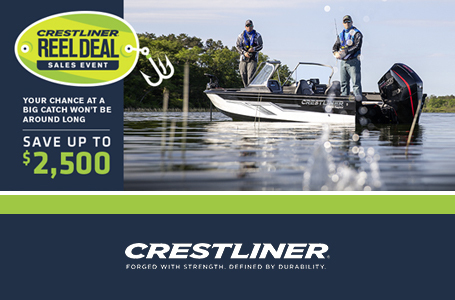 The Crestliner 1700 Storm sports plenty of storage for your rods and gear, a 17-gallon aerated livewell with an extra bait tank, and comes standard with a Humminbird® PiranhaMAX 4 color fish finder. 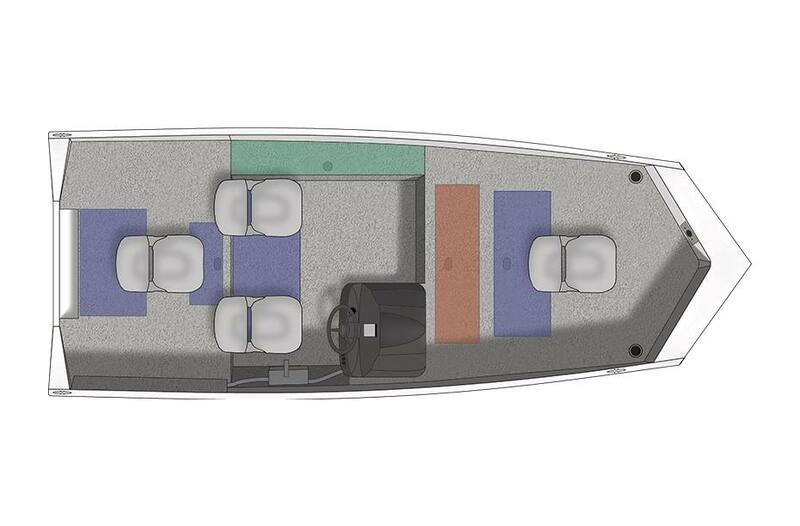 So, whether you're casting for bluegill or rigging for crappie, the 1700 Storm is the ideal boat for anglers who want a simple, comfortable fishing experience. Bow Storage: A large center storage compartment and a designated tackle storage bin means you have compartments that are ready to hold all your tackle trays and gear. Console and Instrument Panel: Sleek console includes switch panel, cup holder and in-dash instrument panel complete with a color fish finder. Windscreen and gauge package optional. Port Rod Storage: Lockable port rod storage holds 5 rods up to 8' in length. Aerated Bow Livewell: A large 17-gallon aerated livewell complete with bait-bucket is found mid-ship for easy access from anywhere in the boat. Trolling Motor: The trolling motor gets you in and out of the action with ease. Seats with Storage Below: Keep your most important gear dry and close at hand with the under seat storage. Storage Step: Get more storage with the optional bow storage step located next to the Storm's console. Windscreen: Optional windscreen keeps the elements at bay so you can attack the water. Crest-Liner Interior Coating: Non-slip, durable and easy to clean, with Crest-Liner interior coating in matte-gray you can focus on the catch. Camouflage paint optional. Gauges: Optional gauges include tachometer and speedometer. 3 Pedestal Bases: Three pedestal bases give you the freedom to set up your casting deck the way you want it. Boat/Motor/Trailer Length: 19 ft. 4 in. Boat/Motor/Trailer Width: 6 ft. 6 in. Boat/Motor/Trailer Height: 5 ft. 8 in. Weight (Boat only, dry): 670 lb. Max Weight Capacity: 1,101 lb. Aluminum Gauge Bottom: .100 in. Aluminum Gauge Sides: .100 in. Aluminum Gauge Transom: .100 in.